The vivid colours of the different religions residing in India give the country an admirable identity. This peaceful co-existence of these ideologically different communities gives birth to a veritably amicable environment devoid of any kind of disharmony. People of India enjoy the joyful freedom of following and celebrating their own religion without any constraints. This is the reason why in every corner of the country you would find a place of worship be it of any religion. Hinduism has around 900 million followers around the world and thus finding Hindu Temples in abundance in the country shouldn’t be a surprise. There are lakhs of Hindu temples in the country. Some of them are as ancient as the land itself. Hindu temples have been built in a wide variety of styles that have amazed the onlookers. Worshippers have taken great care of their ancestral heritage and therefore, ages old these temples still stand unharmed by the ravages of time. 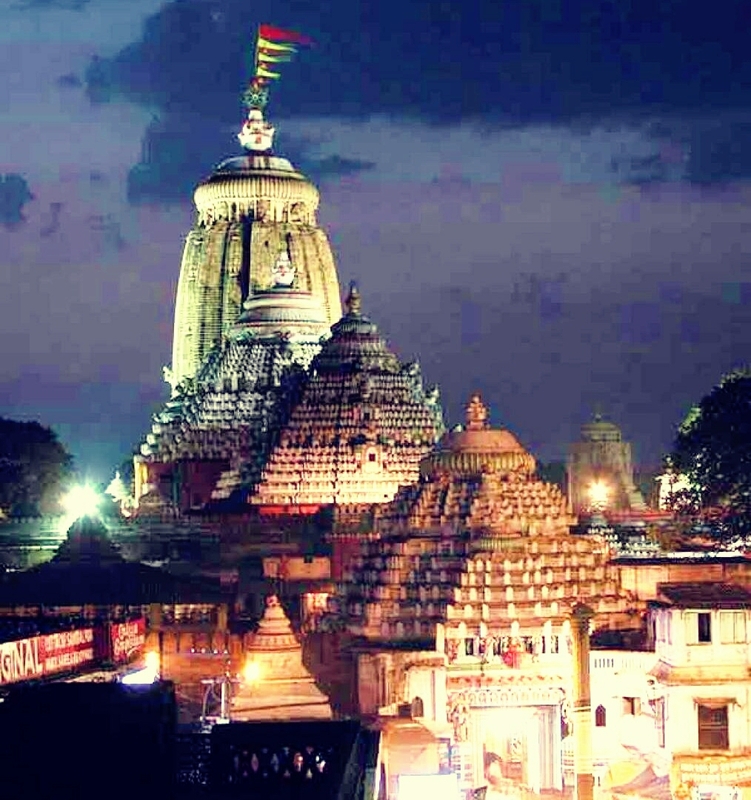 The Jagannath Temple of Puri is a sacredHindu temple dedicated to Jagannath (Odia:ଜଗନ୍ନାଥ])and located on the eastern coast ofIndia, at Puri in the state of Odisha. The temple is an important pilgrimage destination for many Hindu traditions, particularly worshippers of God Krishna and God Vishnu, and part of the Char Dham pilgrimages that a Hindu is expected to make in one's lifetime. All over the world, including India, many people might know about Odisha as a small state in East India, but the name of Puri certainly has a high recall value across the world for being the land of Lord Jagannath which is famous for its annual Ratha Yatra. 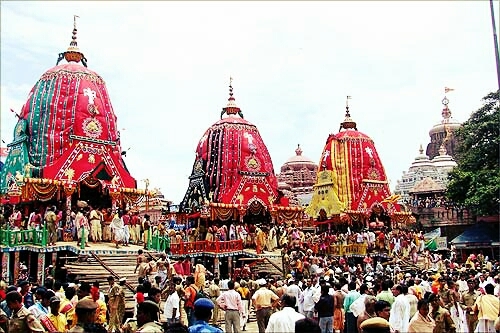 Jagannath Puri being one of the four dhams sees millions of devotees visiting the Jagannath temple throughout the year seeking the blessings of Lord Jagannath. 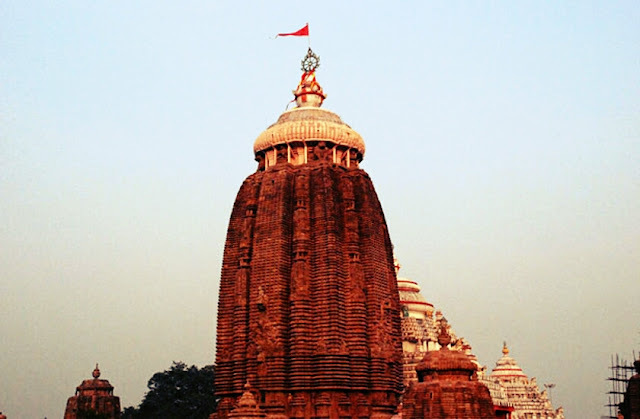 The historic Jagannath temple (Shrimandira) at Puri was built in the year 1078. The following nine incredible facts about the temple do not have a logical explanation. Keep your scientific brain aside and go through these amazing facts. 1. 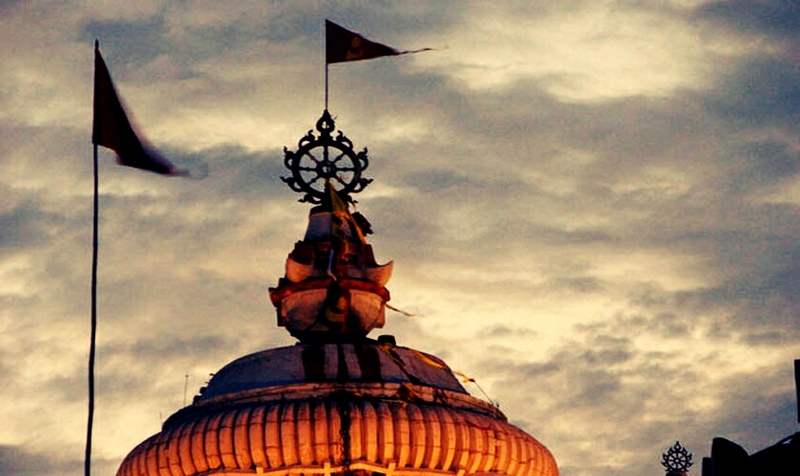 The flag atop the Jagannath temple always flaps in the opposite direction of wind. 2. From any place in Puri you will always find the Sudarshan Chakra (Chakra at top of the Temple) facing you. 3. 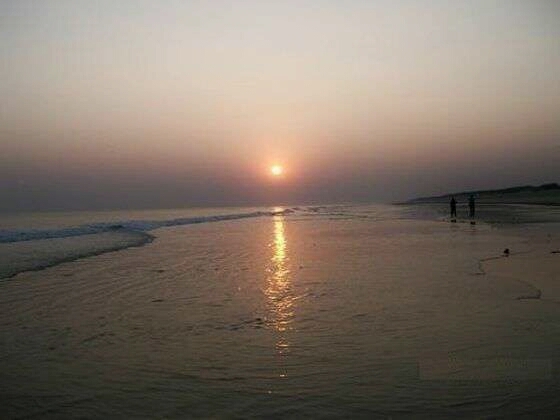 Normally during day-time, air comes from sea to land & during evening, the vice-versa occurs. But in Puri it is totally opposite. 4. It is a surprise that nothing flies above the temple. No planes, not even birds. There is no scientific explanation for this yet. 5. The temple is constructed in such a way that the shadow of the main dome of the temple cannot be observed at any given time. 6. The quantity of cooked food inside the Temple remains same for the entire year. But that same quantity of prasadam can feed from 2000 to 20 lakh people, still it won’t get insufficient or wasted. 7. 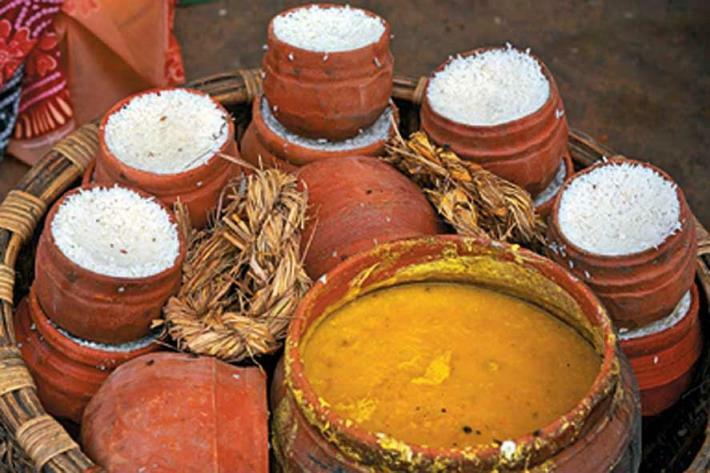 In the Jagannath Temple kitchen, 7 pots are kept one on top of another and cooked on firewood. In this process the contents in the top pot get cooked first & then the bottom one. 8. There is a ocean near the temple. When you’re entering the Singhadwara (The main door) of the temple you can clearly hear sound of the ocean, now once you passed the Singhadwara just take a turn and walk back in the same direction you came. You cannot hear the ocean until you come out of the temple. 9. 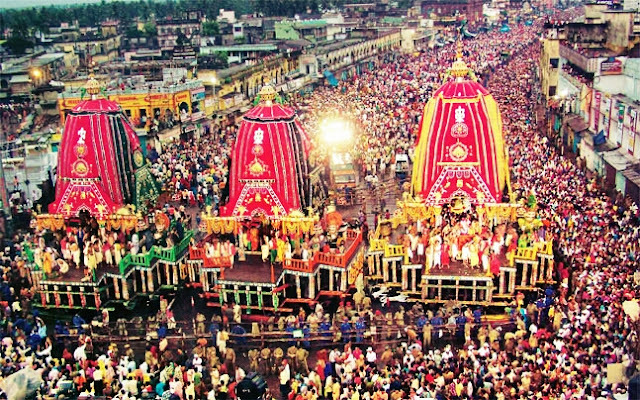 It is said that every time Lord Jagannath refuses to visit his aunt’s place, and no matter how many thousands of devotees push the chariot, it doesn’t move a bit from its place during Rath Yatra. 10. A priest climbs the dome of the temple which stands as tall as a 45 story building and changes the flag everyday Since 1800 years as a part of a ritual. If it is not changed any day, the temple must be shut for the next 18 years.